I had never heard of Onjenu so when they contacted me to ask if I'd like to review something from their latest collection, I wasn't sure what to expect. Within minutes, I found myself struggling to decide which one I liked most! 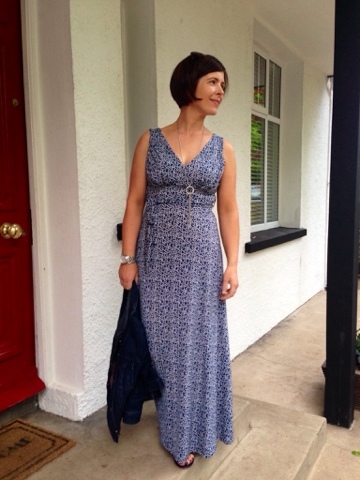 I chose the Navy Fifi Bow Maxi Dress and I have to say, it's one of the nicest maxi dresses I've ever worn - the fit, the feel, the length. All absolutely perfect. The material is that lovely silky feeling jersey that's thick enough to hang beautifully, look dressy and hide VPL's etc..but light enough to work casually and look effortless during the summer months. It came out of the packaging without a single crease. You could literally tie this in a knot and it would shake out crease free. Perfect for holiday packing. It's lovely to find a new brand with a great offering like this. Perfect for a special occasion or in this case - for a maxi dress I'm going to wear lots this summer and in years to come. It's not for everyone at this price point - but in this case, you're definitely getting something a little bit special that won't be worn by every other mum on the school run. 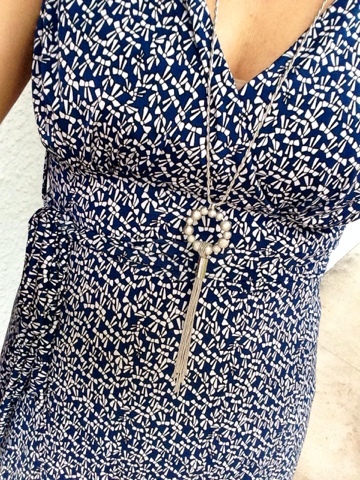 Disclosure - this dress was provided to me free of charge for the purposes of the review. I was not paid to write about it. All views my own - thanks for supporting the brands that support this blog. Just had a quick look when I should be dashing about getting ready for the school run. 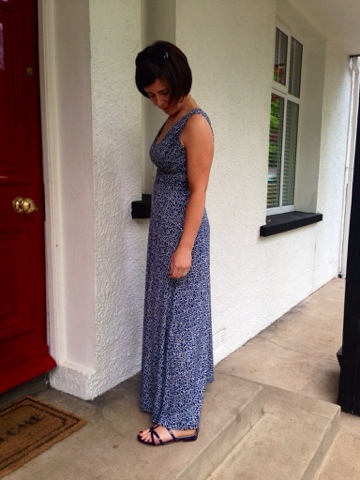 There's some gorgeous stuff - it's so hard to find summer dresses that aren't either frumpy or made for a 19 year old. The one you've chosen is perfect, even the length. And now I have to do the school run in wet hair and dressing gown. Thanks Avril!!! I only heard about this company yesterday! So spooky you blogged today! I fell in love with ALL of their dresses - made for a woman's body with the draped sides and ruching. 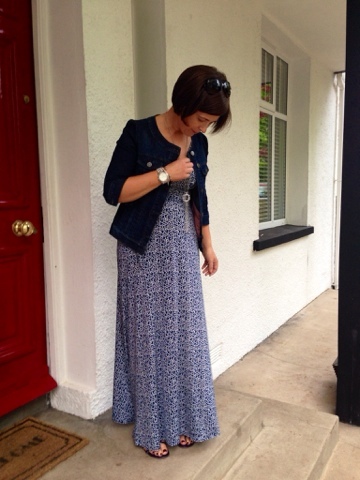 That maxi is a staple item you'll keep and wear for a very long time! Oh that's gorgeous on you Avril & beautiful quality, looks like it's worth every penny. I love that kind of heavy jersey, feels so lovely on the skin too.